Admission is free, and no reservations are necessary. 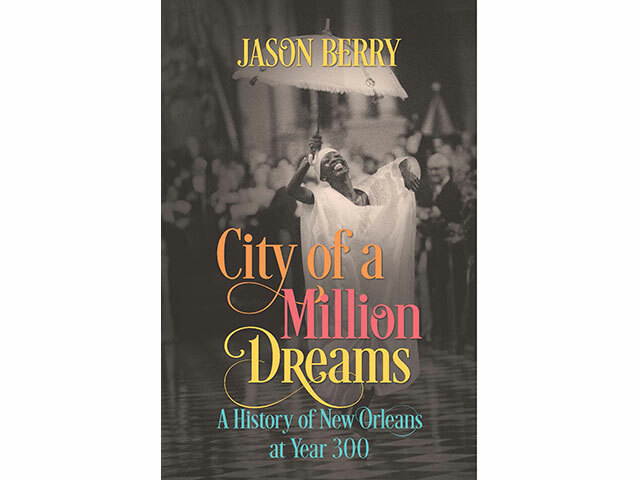 Join award-winning author Jason Berry for a presentation and signing of his latest book, City of a Million Dreams: A History of New Orleans at Year 300 (UNC Press, 2018), on Saturday, December 8, at THNOC. In City of a Million Dreams, Berry delivers a character-driven history of New Orleans at its tricentennial. Chronicling cycles of invention, struggle, death, and rebirth, Berry reveals the city's survival as a triumph of diversity, its map-of-the-world neighborhoods marked by resilience despite hurricanes, epidemics, fires, and floods. Admission is free and no reservations are necessary. The book, which retails for $35, will be available for purchase from The Shop at The Collection.